Over the last ten years the way fuel is introduced into petrol engines has changed considerably. We have moved from injecting fuel onto the back of the inlet valve, indirect injection, to injecting fuel directly into the combustion chamber. This is not the first time that it has been tried; direct injection was used on the German WW11 fighter the ME109, however there the similarity ends. The ME109 used a modified mechanical Diesel pump while the system we use is a computer controlled electronic system. One of the major issues with injecting fuel directly into the combustion chamber is that in order to burn well the fuel needs to be completely atomised this means that the fuel has to be injected at extremely high pressures, up to 200 bar (3000 psi). Now I suspect you know this but petrol is extremely volatile and compressing it to such extremes needs to be done CAREFULLY! So with a direct injection system fuel is supplied from the tank at comparatively low pressure, around 5 bar (75 psi), roughly the same as an indirect fuel injection system and then the pressure is boosted up to full pressure by a pump on the end of the camshaft. A direct injection system can operate in two main modes, it can inject fuel on the intake stroke which is called homogeneous operation, this is effectively the same as an indirect injection system or it can inject fuel on the compression stroke which is called stratified charge operation. Fairly obviously this is impossible for an indirect injection system as the inlet valve is closed during the compression stroke. much the same as an indirect injection system, however there are slight differences. 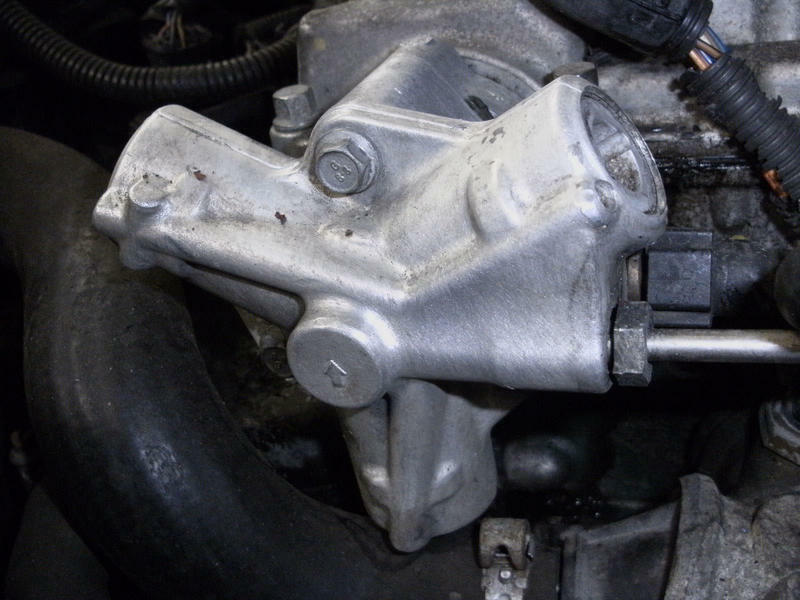 With an indirect fuel injection system the mixture has to “tumble” around the inlet valve, this promotes good mixture formation, this does not happen with a direct injection system. There is also less time available for the mixture formation process, with an indirect injection system the injectors could inject for two whole revolutions of the engine (720 degrees) if required and the mixture is “stored” in the inlet manifold until the inlet valve opens, whereas a direct injection engine has to wait for the exhaust valve to close before the injection process can start. The exhaust valve will typically stay open for around 25-30 degrees after top dead centre, this gives you around 160 degrees of crank rotation in which the fuel can be injected. However the lack of tumble and the short period time available to inject is compensated for by the extremely high pressures that the injection system uses which increases the turbulence in the combustion chamber. There are a number of issues with direct injection engines, because the engine runs so lean the exhaust gas contains excessive levels of nitrous oxide which causes smog and acid rain and this has to be dealt with by a special catalytic converter. The inlet manifold on an indirect injection engine is cleaned by the fuel in the manifold, this does not happen on a direct injection so there is the possibility that carbon will build up on the back of the inlet valve, this can restrict the airflow into the engine and cause a lack of power. 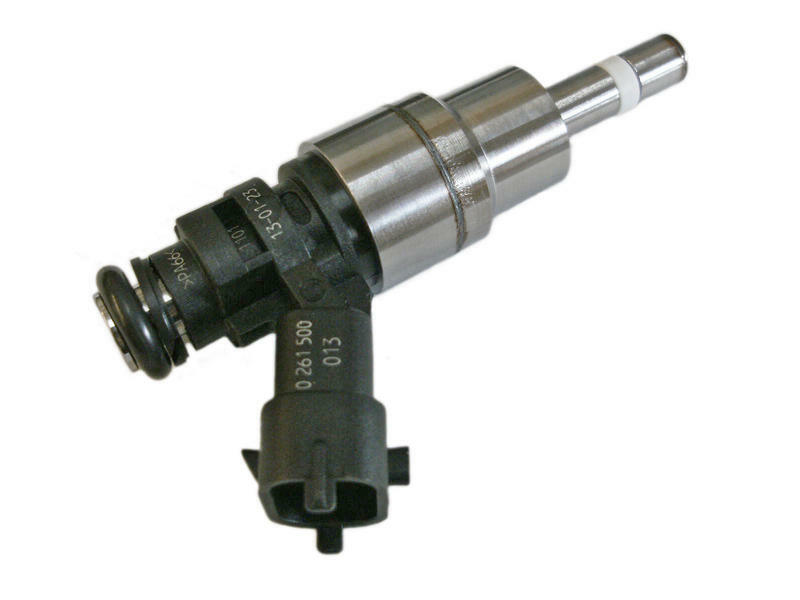 The injector is also specially developed for a direct injection system. Firstly the injector has to be able to withstand the extreme temperatures of the combustion chamber, it also has to withstand extreme pressures both from the combustion process and internally from the fuel inside, it can't leak and the spray pattern must be maintained throughout the life of the injector. I am sure you will agree that is quite some ask for any piece of machinery so in order to achieve this manufacturers are increasingly turning to piezoelectric fuel injectors……………. What is a piezoelectric fuel injector and for that matter what does piezoelectric mean? Piezoelectric effects have been known for quite some time, in fact their discovery pre dates the automotive internal combustion engine, they were discovered by the Curie brothers in 1880 and what the brothers discovered was that crystals of tourmaline deformed proportionally to the voltage applied to them. This microscopic deformation can be used to actuate the injector nozzle but in order to get sufficient movement the piezoelectric ceramic actuator in a fuel injector consists of over 400 layers, and that only opens the injector a mere 33 micron’s, 33 millionths of a meter or ⅓ the width of a human hair! Because it is extremely difficult to make the piezoelectric ceramic actuators accurately enough to deliver the fuel as precisely as needed essentially the manufacturers don’t bother, instead each injector is tested and given a code, this code is then programmed into the cars engine management unit so that it can determine how long to hold the injector open for. In order to help prevent the accumulation of carbon deposits on the injector it opens outwards into the combustion chamber so every time the injector operates the fuel discharged cleans the tip of the nozzle. Injectors are controlled by a special output stage of the engine control unit, this stage has a DC/DC converter (a type of transformer) which can take the voltage from 12v dc up to around 200v dc if required, this gives car manufacturers the opportunity to change not only the operating time of the injection but also allows them to adjust how much the injector opens. Due to the incredibly short switching time of piezoelectric injectors it is possible to operate them up to five times per cycle. The injector can be angled a number of ways depending on a number of factors; the injector can be angled down towards the piston at an oblique angle, the combustion chamber in the piston then deflects the fuel spray in the direction of the spark plug. This is called wall directed combustion and the advantage of this method is that you can accurately direct the fuel jet at the spark plug. However because the fuel condenses on the piston crown you tend to get higher amounts of unburnt fuel (HC) in the exhaust emissions. Alternatively the injector can be laid virtually flat and a cushion of air used on top of the piston to direct the fuel at the spark plug. This stops the fuel condensing on the piston so reducing the emissions of HC however the cushion of air that forms on top of the piston is not always consistent; this can lead to poor combustion and in severe cases a misfire on an individual cylinder. Often it is impossible to exactly define which of the two previous processes are being used as they can overlap depending on where the manufactures choose to inject the fuel in the combustion cycle. Lastly the injector can be mounted vertically, where a spark plug would normally be, this is called spray directed combustion. The advantage this has over the two former methods is that the spray pattern is not deflected by the piston coming up the bore, the spark plug is located right next to the injector so the cloud of fuel can be kept as small as possible while still achieving good combustion. However injecting fuel this way requires injectors that can operate at even higher speeds which whilst a challenge for car manufacturers is the most efficient method of direct injection. While I have categorized these operating methods in black and white the injection system will operate across the boundaries of different strategies depending on the perceived needs of the engine. During some periods of operation it will also use fuel to clean the catalyst but these modes only last for very short periods of time.